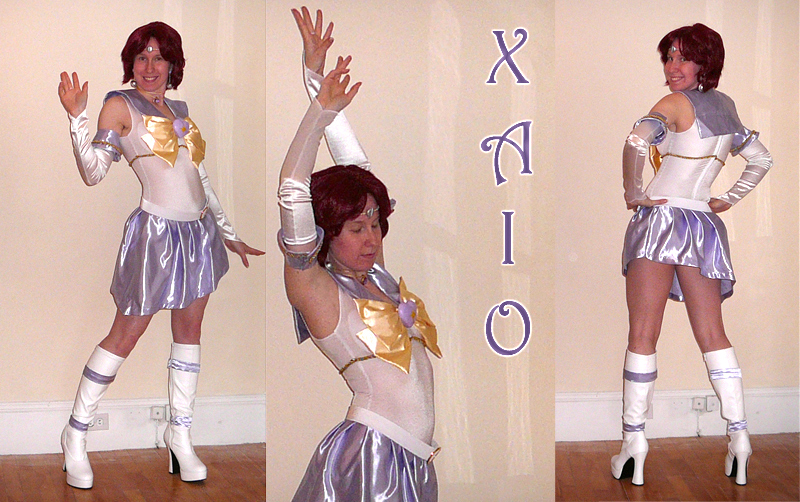 Here are some of the Sailor Moon costumes that I own. 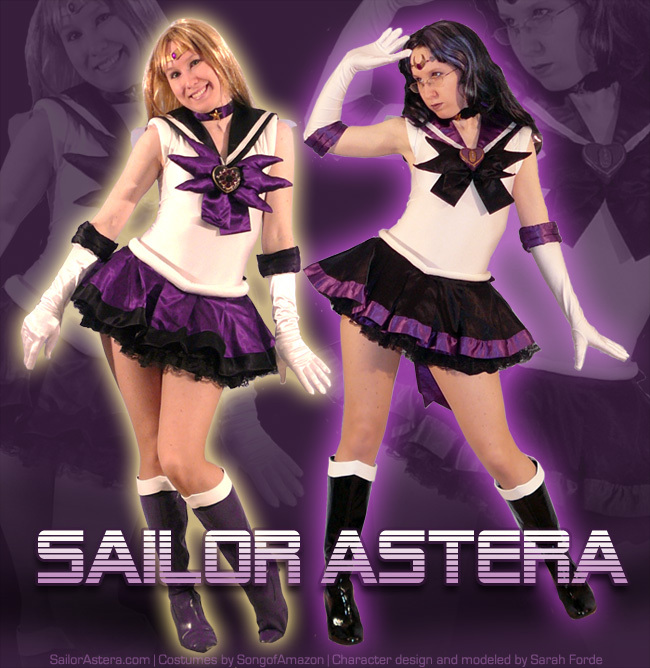 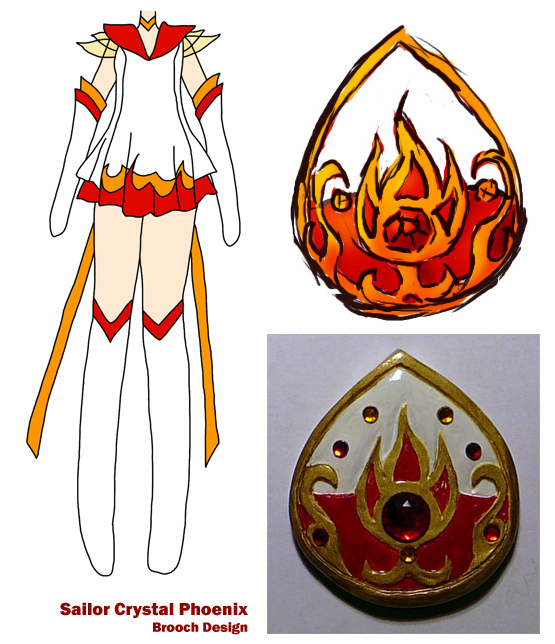 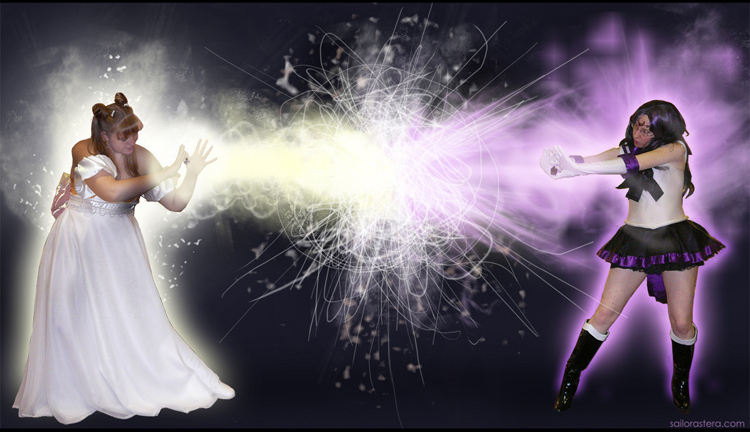 I made Esmeraude, Xiao, Deimos and Phobos; my friend Songy made Sailor Astera and I commissioned Sailor Syrin from Kali . 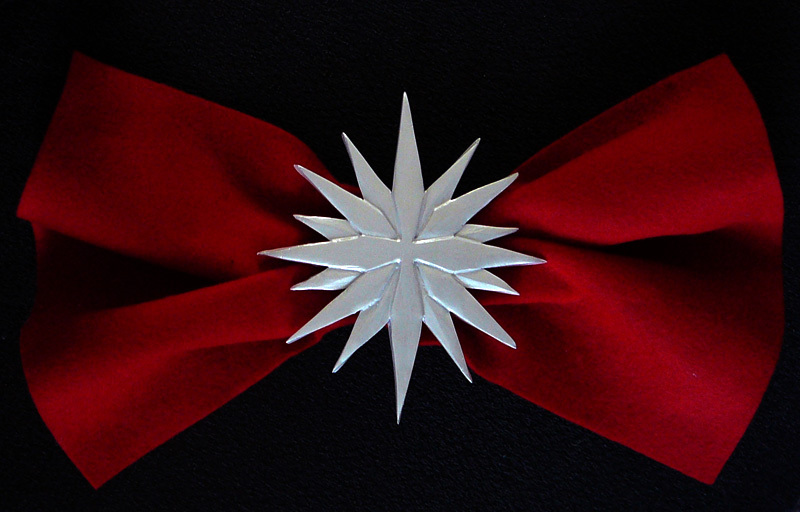 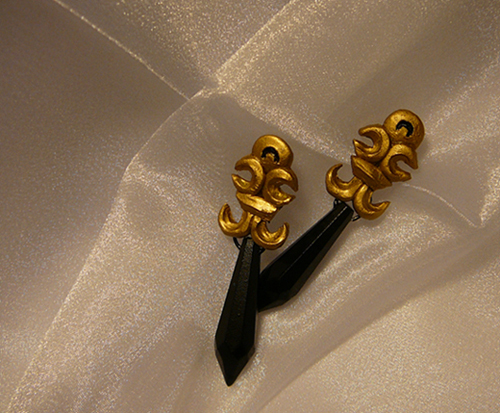 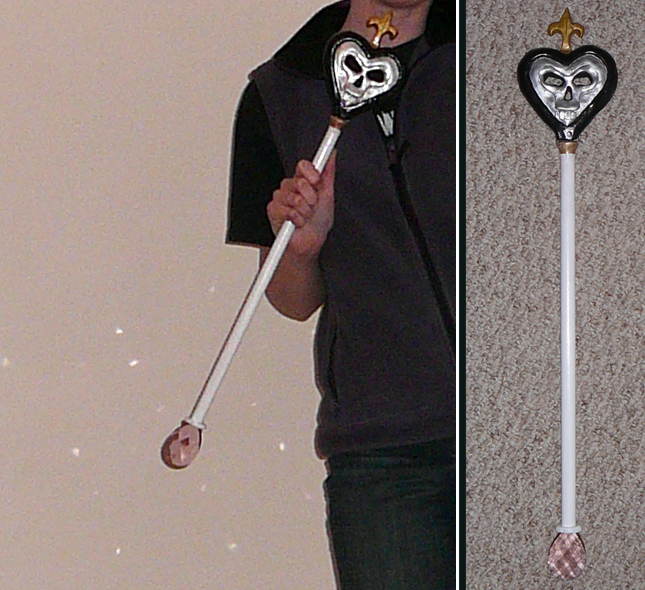 I made these props for Sailor Moon cosplay. 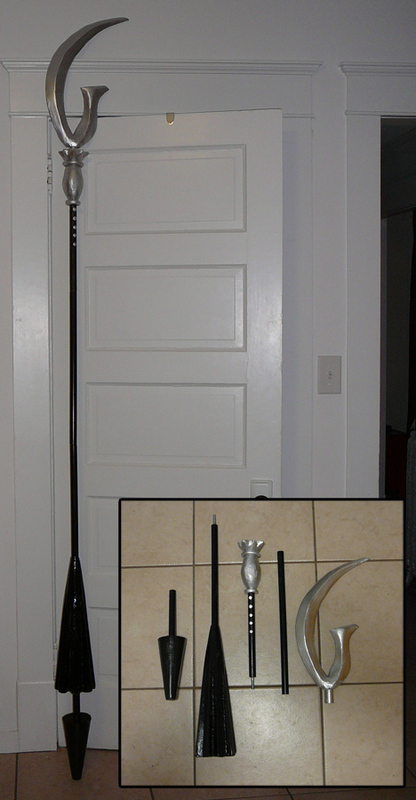 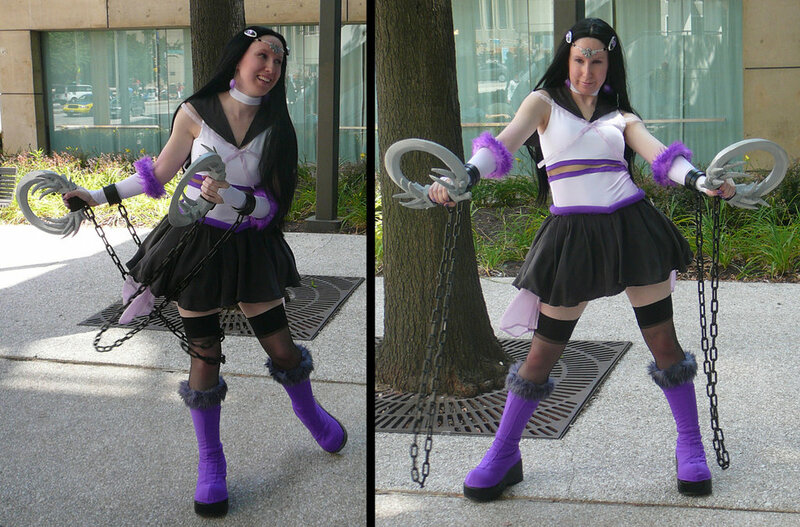 The wand is for PGSM's Queen Mio and the glaive is for Saturn, of course. 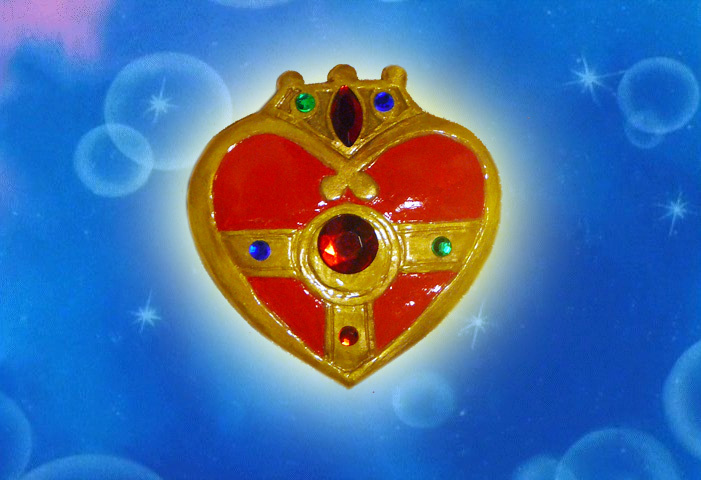 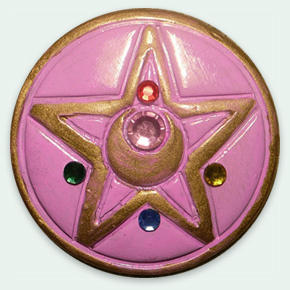 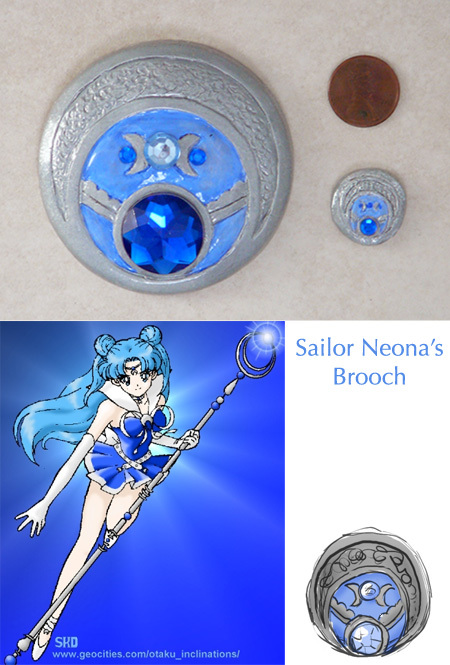 These are various brooches and other items that I have made for canon and fan senshi.